Thirty-nine dogs from Houston that went through Hurricane Harvey are now in the Toronto area where they will likely be put up for adoption later this month. The Texas dogs, all from Houston, are being housed at the OSPCA HQ in Stouffville, Ont. 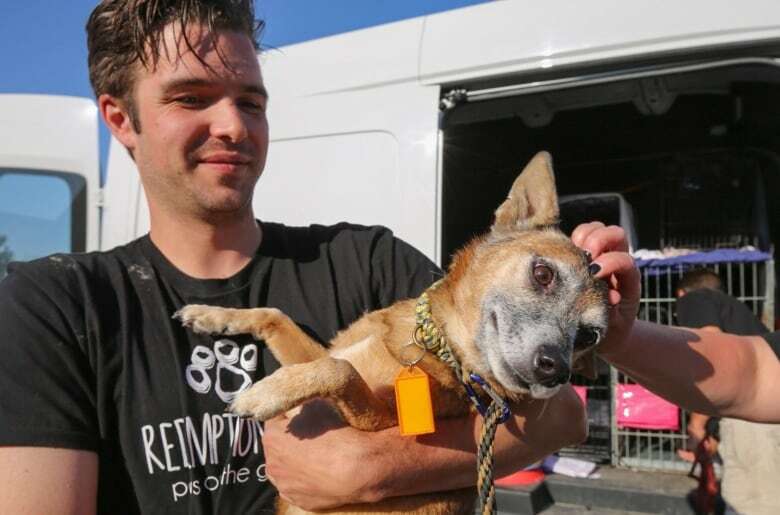 The dogs, transported from Texas to Ontario by three vans and one minivan this weekend, arrived at the headquarters of the Ontario Society for the Prevention of Cruelty to Animals (OSPCA) in Stouffville early Monday. Redemption Paws, a subsidiary of a group called Redemption Dogs, is a not-for-profit organization that goes to areas affected by natural disasters to help rescue groups find homes for dogs. The group brought the dogs to Canada to provide relief to rescue organizations in Houston following the storm. 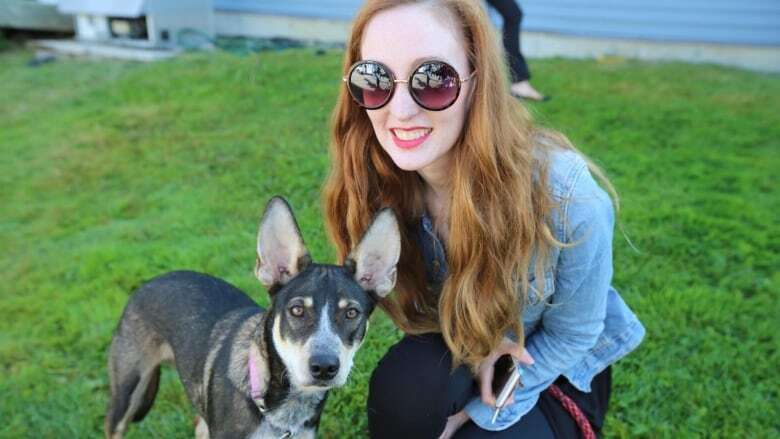 "The dogs are definitely feeling the love from Canada right now," Nicole Simone, a director of Redemption Paws, told CBC Toronto. Simone said she is "so very relieved" that the dogs have arrived. Many of the dogs were already in shelter system in Houston, while others were surrendered by their owners who were no longer able to care for them. The hope is that they will be adopted into homes here. Vets from the OSPCA are tending to medical needs of the canines. They are being assessed, provided with veterinary care, and are being housed. About 30 per cent of the dogs have special needs. The dogs have been placed under quarantine for 10 days, which Simone said is standard for dogs imported from the U.S.
"A bunch of dogs will be ready to go home by the end of this week," she said. An online application for people who wish to adopt one of the dogs will be posted on the website of Redemption Paws within 24 hours. The group has raised more than $27,000 through its GoFundMe page and the funds will be used to cover transportation costs. she said. The OSPCA is covering veterinary costs. Members of the public cannot view the dogs because they need time to adjust after their long journey, she said. But if an application is successful, a meeting will be arranged between the prospective owner and a dog. According to Redemption Dogs, Houston had about a million homeless dogs before the hurricane. "The hurricane has left many more dogs dead and displaced. Not to mention, the Houston-based rescues who have been trying to help them have had their property destroyed and their lives heavily impacted by the storm," its website reads. "Some of the dogs have been waiting to be adopted since 2015. We are in no way going into the street and picking up stray dogs. We are following a strict protocol and have no intentions of rehoming a dog that might already have a family searching for it." Simone said Redemption Paws worked with Hot Mess Pooches, a rescue organization in Houston that connected the group to other rescue organizations in the area and local residents who could not keep their canines. The group, which headed to Houston on Thursday, brought down humanitarian aid and pet supplies for local residents and left on Saturday with the dogs.